Lulupu - The Craft Lounge: Lulupu challenge # 26 - Try Something New ! Its Pooja here , back with another lulupu challenge. Before i get to it , hope u all had a fantastic Valentines day ! 2.Make a card using something new to you. Try using something new in your stash. a new tool, ink, maybe a stamp or just some new technique you tried. 3. Deadline to submit 28th feb 2014 , until 11:55 PM IST. Thats about it ! The possibilities are endless this time :) I hope to see your full participation. Since it was a card we had to make , i decided to go for a new fold ! 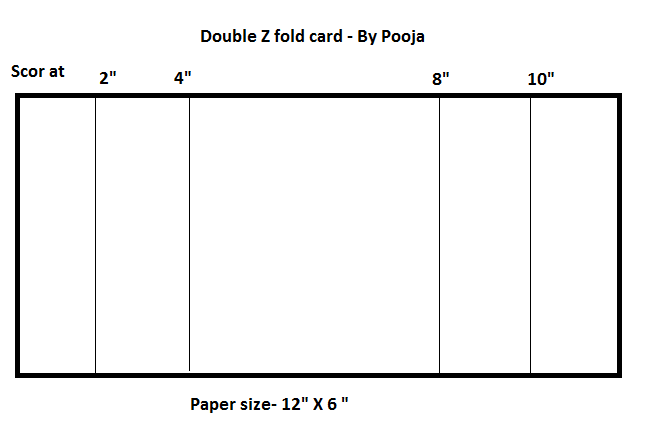 I have been thinking of doing a Double Z fold card for ages but somehow it never happened ! So when this challenge was thought of ... i said why not ? This is how a Double Z fold card looks from above ! here is a template i made for the card , you can use this for your z fold card . 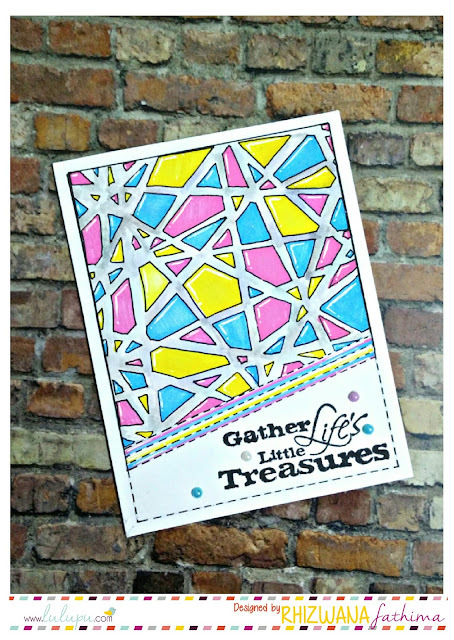 I have used my new paper pack from Crate paper, which i love !!! Here is a close look at the flowers , I made them myself. And this is how the card opens ! aha...cards again! That's a challenge! This card is beautiful Pooja. Am new to this blogging and challenges and this is my first challenge and post. Wonderful creation!!! I am a new follower. Thanks for the challenge!